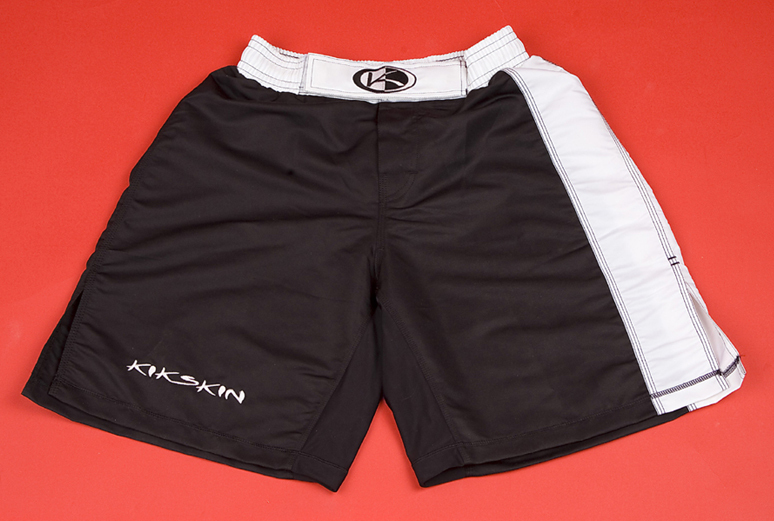 As worn by Champions Mark Kerr and Bas Rutten, these fighting shorts are made to highest standards of quality and durability. Made of Tactel spandex, with draw cord and 2" inseam. Available in black, white, black/white and red/white, with Kikskin logo. These shorts are 100% satin with an internal draw cord and Velcro. The Kikskin logo is done with silk-screen and the circle-k logo is done with material, they are great for competition! 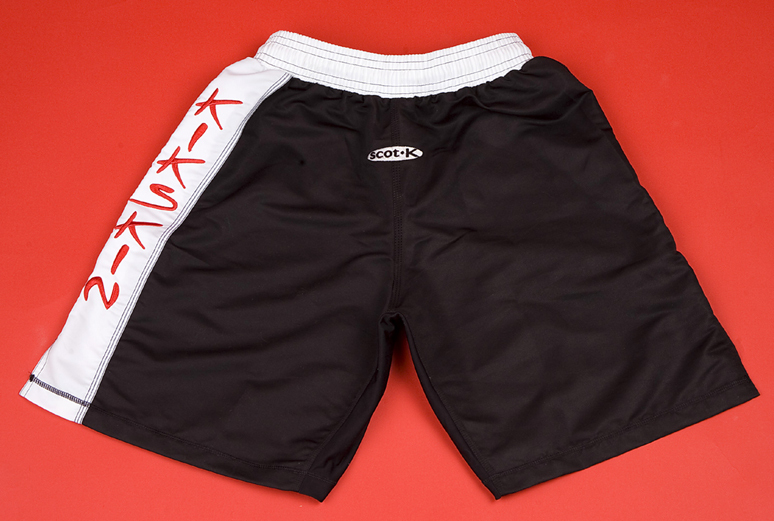 These shorts are made of polyester/nylon with a super stretchable waist and inside leg fit. They have an internal draw cord and Velcro securement. The logos are embroidery for that awesome Kikskin look! 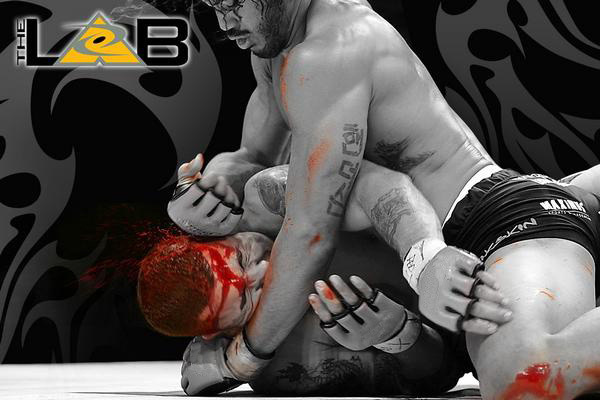 Great for no-gi, competition or just every-day training!